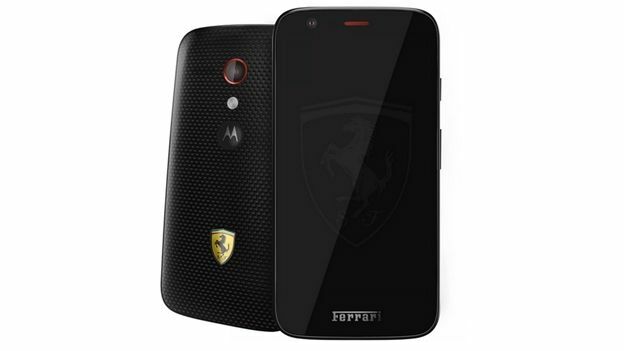 Motorola has quietly announced a Mexico-exclusive Moto G Ferrari Edition alongside the new super affordable Moto E.
Alongside its more premium styling, the Moto G Ferrari Edition also comes with a specs boost. For instance, it comes with 16GB of internal storage, compared to the 8GB of storage found in the bog standard Moto G.
Looks wise, it – perhaps unsurprisingly – features the Ferrari logo along with a red speaker and a kevlar back with a dot colour finish. Other than that, the specs remain largely the same. It comes with the same 4.5-inch 1280 x 720 display, Snapdragon 400 processor, 5-megapixel camera with LED flash and the latest Android 4.4 KitKat operating system found in the Moto G.
The Moto G Ferrari is expected to go on sale next month for around £230. There's no word on whether or not the company will be launching the handset around the world yet. We'll keep you in the loop if we hear anything. Is the Motorola Moto E the best budget smartphone around?